In the southern section of South America there is a very small country, so small its citizens call it "paisito" or little country. This country is Uruguay. 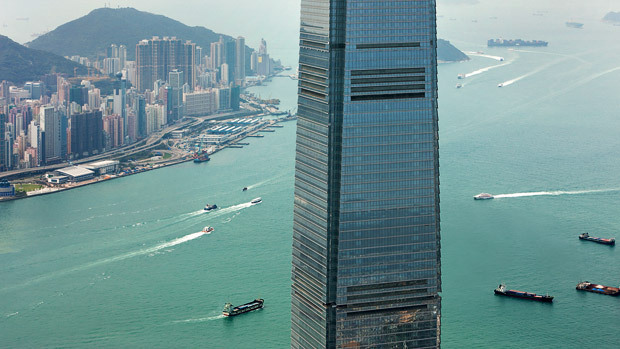 And it has one of the world most popular places to visit. 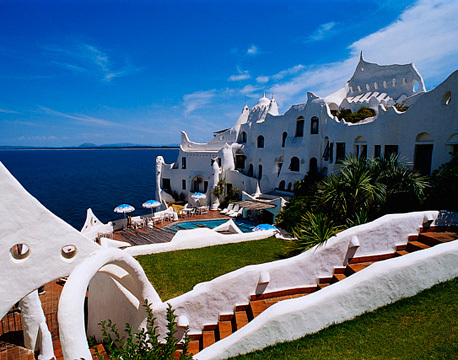 Punta del Este is called the St. Tropez of Uruguay or the Hamptons of South America as it is scenic resort area with miles of glistening beaches, with luxury hotels and restaurants, plenty of natural attractions, shops, glittery nightlife and wealthy summer visitors. The place is awash with yacht and fishing clubs, golf courses, casinos and beautiful holiday homes. 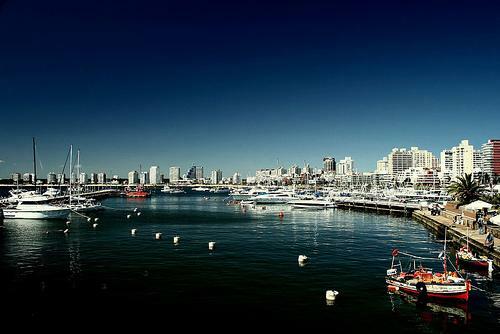 Punta del Este has become in the docking place for yatchs which sail all around the world. Twenty miles of beautiful beaches are very much crowded during the summer season, which begins in December and ends in March. Being a peninsula there are two coastlines, one of them is pretty quiet and calm (called "mansa"), and the other one is windy, with some surf spots (called "brava"). 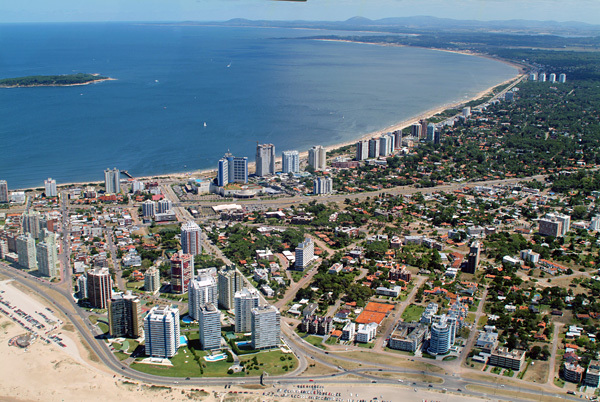 Famous beaches includes: "La playa de los Dedos" (The finger beach"), which is near the main street in Punta del Este, and in La Barra the Bikini Beach is famous because of the models and famous people that goes there. 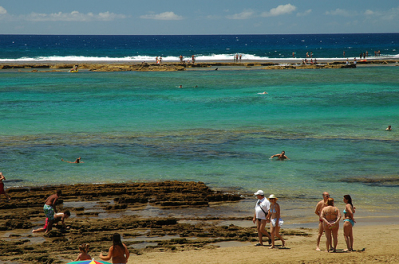 La Barra is a center of youth oriented activities, from daytime sports on the fine sandy beach to all night discos. To get to this small village, you cross an unusual bridge shaped like an easy roller coaster. 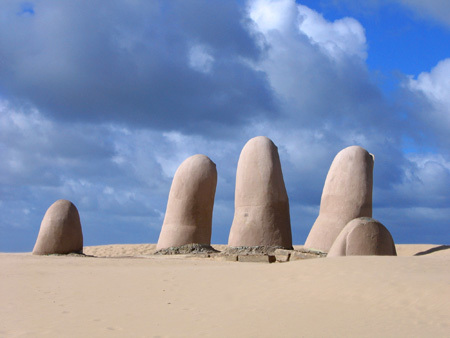 La Mansa beach is famous for landmark known as "The Hand in the Sand" which was made in 1982. Besides the stunning beaches there a lot more attractions to visit. Opposite the large peninsula separating the two waters of the Atlantic Ocean and Rio de la Plata, lie the enchanted islands of Isla Gorriti which has more superb beaches and the ruins of an 18th-century fortress and Isla de los Lobos, inhabited by one of the world's largest sea-lion colonies. Museo Taller Casapueblo, in nearby Punta Ballena, is the museum and workshop of the artist Carlos Páez Vilaró. It features his paintings and is an artistic monument in itself, like a villa imported from the planet Tatooine. There are few places in the world where you can enjoy the sunset as at Punta Ballena. The Panoramica route, just on the hills, allows you to see Portezuelo and Maldonado Bay. You can also see the Arboretum Lussich, a fantastic place built by Antonio Lussich, who brought plants from all over the world and made this place a must-visit at Punta del Este. 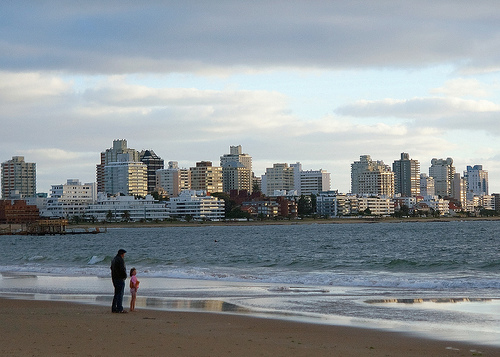 Punta del Este is famous for its clubbing scene. The party scene doesn't kick into high gear until Christmas, when the famouse people, Brazilian models and international jet set arrive for a week or three of get-togethers, lavish dinners and midnight cruises. Punta is also known for its casinos where elites from Argentina, Brazil, Chile and beyond come to rendezvous and chill. The Conrad Resort and Casino holds Las Vegas-style reviews and other music, dance, and magic shows. The enormous 24-hour casino has 450 slots and 63 tables for baccarat, roulette, blackjack, poker, dice, and fortune wheel. Punta del Este has an extraordinary variety of options for tourists so if you are looking for an active and memorable holiday it's the best place to visit.